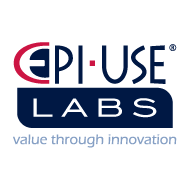 EPI-USE is a global organization that specializes in SAP and SuccessFactors services plus products for On-Premise, Hybrid and Cloud environments. Product works like a charm for master data copying. We have seen accelerated product diversity over the past 5 years that this has really helped us manage. Sometimes tricky to have all the dependent information copy in for a given transaction to work without alot of intervention. Some of this is due to customization we have done around the edges but mostly because the tool doesn't always grab the right tables. What Kronos Consulting solution do you use? Cognizant (NASDAQ: CTSH) is a provider of information technology, consulting, and business process outsourcing services, dedicated to helping the world's leading companies build stronger businesses. HCM Ready provides deep expertise in maximizing the value of all Workforce Ready modules for Kronos clients to drive exceptional ROI. With over 25 years of WFM experience, we specialize in aligning your Kronos application with your organizational strategy to support your workforce. Alight Solutions is a leader in technology-enabled health, wealth, HR and finance solutions. * We monitor all EPI-USE reviews to prevent fraudulent reviews and keep review quality high. We do not post reviews by company employees or direct competitors. Validated reviews require the user to submit a screenshot of the product containing their user ID, in order to verify a user is an actual user of the product. Hi there! Are you looking to implement a solution like EPI-USE?